On Wednesday 23rd January, a record number of 74 boats representing 8 countries paraded through the St. George’s harbor and lined up for the Republic Bank Bimini Start to the left of the cruise ship terminal. 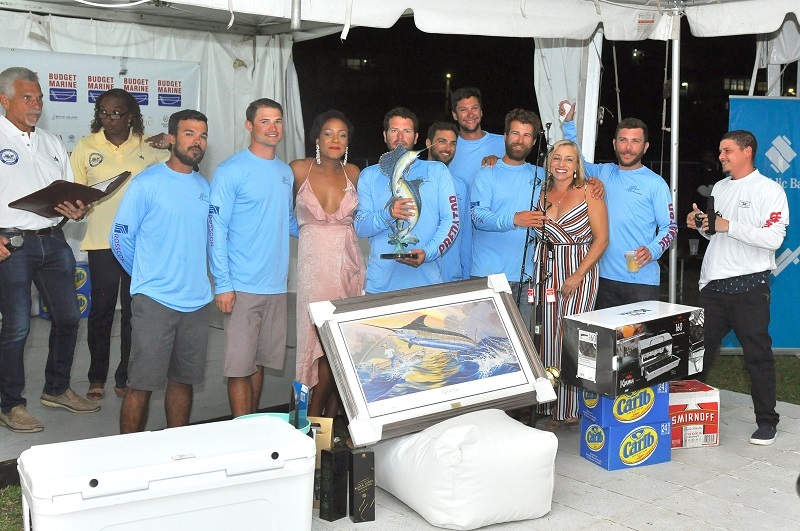 The 2019 Budget Marine Spice Island Billfish Tournament (BMSIBT) began the day before and continued for three more exciting days of competition. 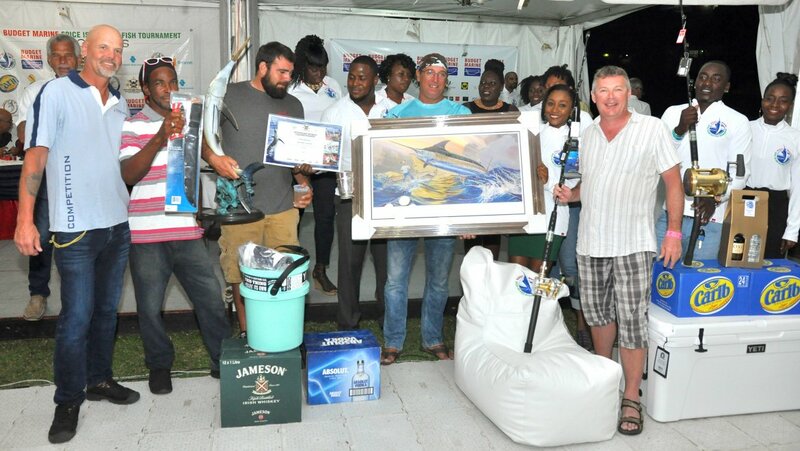 The curtains came down on the 50th anniversary of the Budget Marine Spice Island Billfish Tournament in spectacular fashion with an awards ceremony staged, for the first time, at the Roy St. John Recreation Ground to accommodate the 436 anglers who participated in the Tournament. Anglers from Luxembourg, Germany, Sweden, South Africa, England, Canada, USA, Aruba, Guadeloupe, Martinique, St. Lucia, St. Vincent, Costa Rica, St. Eustatius, Barbados, and Trinidad & Tobago joined their local counterparts to celebrate the longest running sport fishing tournament in the Southern Caribbean. At the Awards Ceremony held on January 26th, Rayne Ernst of “Ossie” (Grenada) was named the Republic Bank Top Junior Angler. Diana Webster of “Real Crazy Too” (Barbados) was presented with the awards for Top Female Angler and the Republic Bank Top Angler. 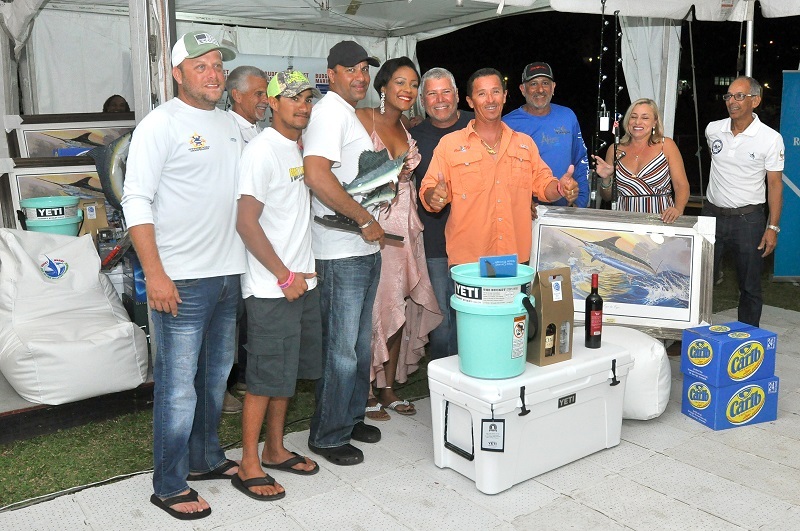 Nigel Hypolite of “Crazy Horse Again” (Grenada) secured the top Grenada Angler prize. “Hard Play III” (Grenada) claimed victory winning the 1st Place Boat with a total of nine releases and 3,300 points. Although a total of 151 billfish – 5 Blue Marlin, 145 Sailfish and 1 White Marlin – were released, there was no Grand Slam winner in 2019, and no one landed a Blue Marlin greater than 1000 lbs to win the $500,000 prize offered to celebrate the Golden Anniversary. In recognition of the 50th anniversary of the Spice Island Billfish Tournament, representatives from the game fishing associations of Trinidad and Tobago, St. Lucia, Martinique and Barbados presented the local organizing committee with commemorative plaques, praising the membership for delivering an exceptional sport fishing experience that “keeps them coming back for the best sport fishing tournament in the Southern Caribbean”. Accepting on behalf of the Organizing Committee, Chairman Mr. Richard McIntyre shared “how wonderful it has been to host this tournament”, and expressed his gratitude to the anglers, sponsors and committee members who continue to make the Budget Marine Spice Island Billfish Tournament such a huge success.